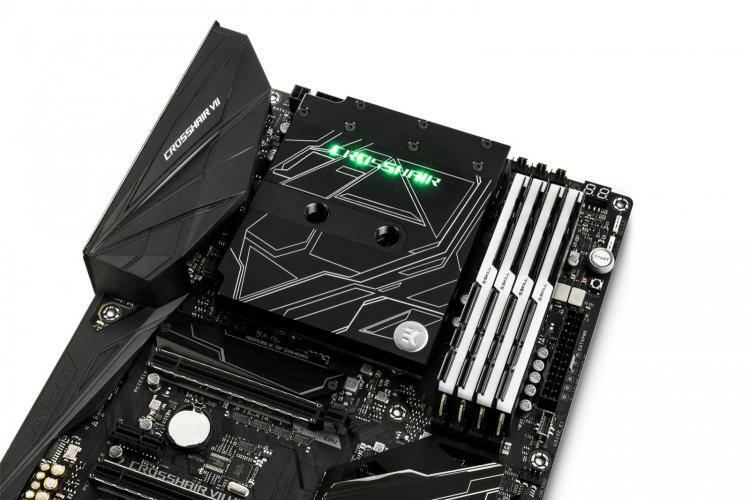 EK Water Blocks releases a new Acetal version AM4 socket-based monoblock, EK-FB ASUS C6H RGB Monoblock – Acetal, specially designed for the ASUS ROG Crosshair VI Hero, ROG Crosshair VI Extreme and ROG Crosshair VII Hero motherboards. 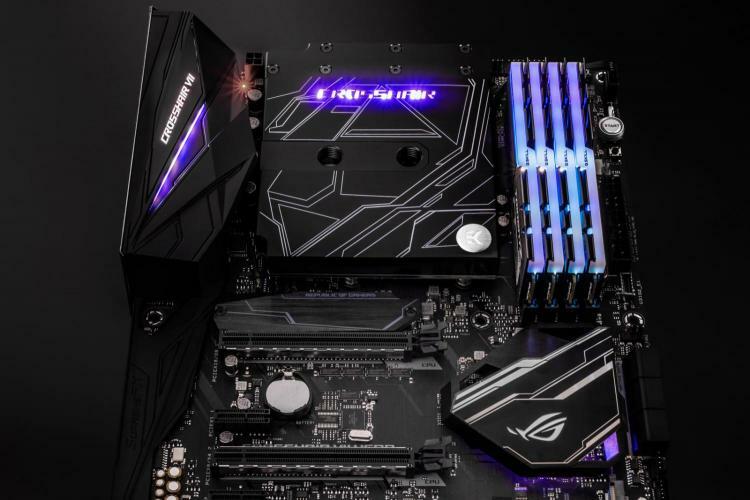 The EK-FB ASUS C6H RGB Monoblock – Acetal has an integrated 12V 4-pin RGB LED strip that’s natively compatible with the ASUS Aura Sync for full lighting synchronization and customization. The new Acetal monoblock is an all-in-one cooling solution for the Socket AM4, AMD X370 and AMD X470 chipsets, processors and motherboard. It supports the first and latest generation AMD Ryzen and 7th Generation A-Series/Athlon processors. 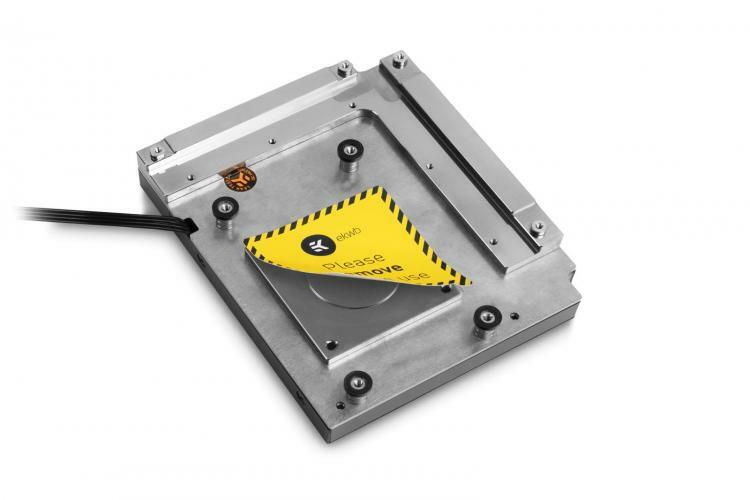 The monoblock features a special cold plate that’s specially designed for AMD processors along with a new mechanism that offers better mechanical contact with the processor IHS for the best possible thermal transfer. The base of the EK-FB ASUS C6H RGB monoblock is made of nickel-plated electrolytic copper while the top is made of quality black POM acetal. The nickel-plated brass screw-in standoffs are pre-installed and allow for easy installation. The EK-FB ASUS C6H RGB Acetal monoblock is designed and engineered in collaboration with ASUS to ensure compatibility. 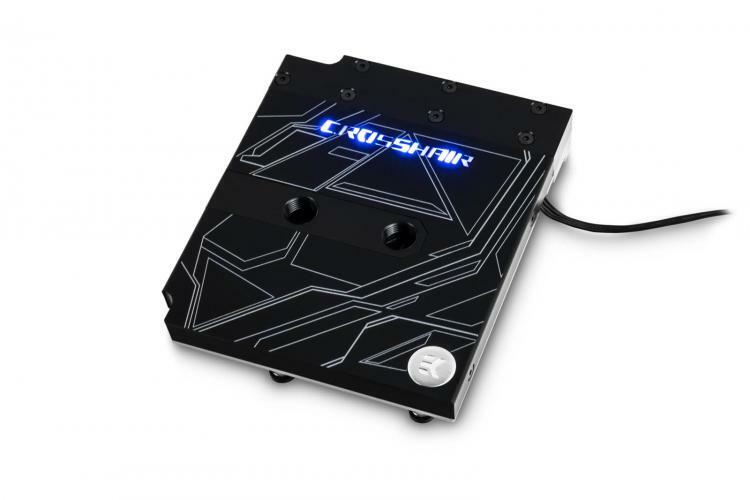 It uses the award-winning EK Water Blocks EK-Supremacy EVO cooling engine that delivers the best possible cooling for the processor along with the power regulation modules (MOSFETs). Liquid coolant flows directly over the critical areas that offer superior cooling performance that enables higher stable overclocks. The monoblock also features a high flow design that’s compatible with weaker pumps. The EK-FB ASUS C6H RGB Monoblock – Acetal is now available at the EK Webshop and partner resellers worldwide with an MSRP of 139.90€/$154.99 USD.